I don’t see their emblem on the studs! Did you model all the pieces? If so, can I see a wire? I’ve used LDraw a lot before, lots of PovRay stuff. Your render just beat the best I’ve seen from that group! my only crit would be that the blue block at the very top of the render seems as if it is floating, other than that nice job! 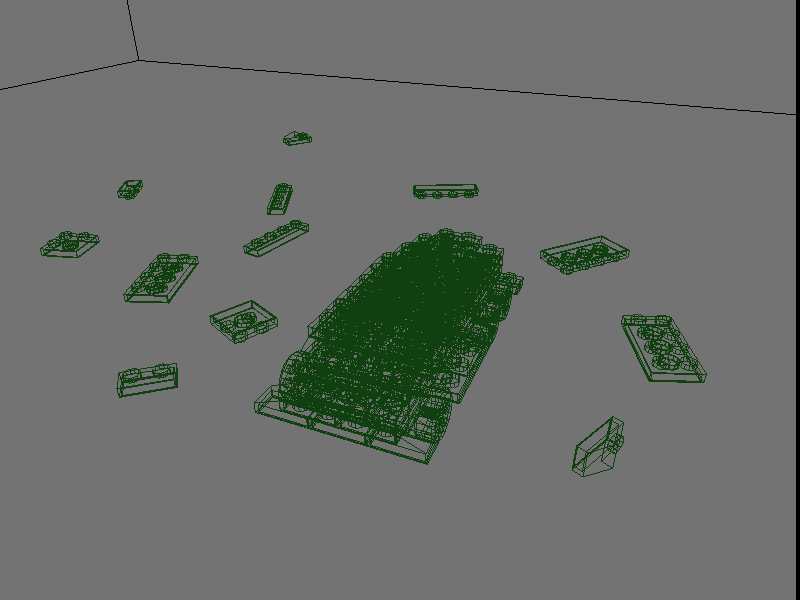 Yep, I modeled every… type of piece - all in Blender. The wire is in the attachments(Warning: The truck’s wire is not very “clear”). About the floating part: yes it is floating. When I finally double-checked the scene I found that I had forgotten to “drop” that part :o. I will re-render later today and post the fixed image. Edit: The image is now fixed - can be seen on the first post.